The genesis of the texts that Carl Orff chose to set to music is so very interesting. 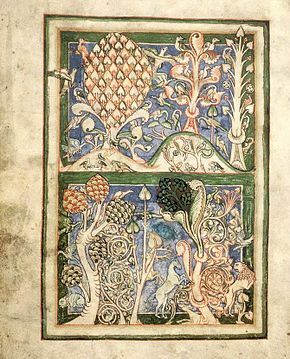 Paraphrased from Wikipedia: The Carmina Burana, translating from Latin to “Songs from Beuern”; (“Beuern” being short for Benediktbeuern, a town in the area of Bavaria, Germany, which has an 8th century monastery) is a manuscript of 254 poems and dramatic texts mostly from the 11th or 12th century, although some are from the 13th century. The pieces are mostly bawdy, irreverent, and satirical. They were written principally in medieval Latin, a few in Middle High German, and some with traces of Old French. 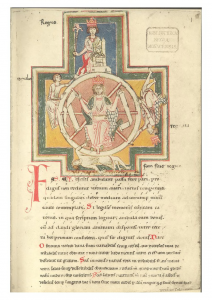 They were written by students and clergy when the Latin idiom was the lingua franca throughout Italy and western Europe for travelling scholars, universities, and theologians. Most of the poems and songs appear to be the work of Goliards, clergy (mostly students) who satirized the Catholic Church. The collection was found in 1803 in Benediktbeuern, Bavaria. It is considered to be the most important collection of Goliard and vagabond songs, along with the Carmina Cantabrigiensia. At some point in the Late Middle Ages, the handwritten pages were bound into a small folder called the Codex Buranus. However, in the process of binding, the text was placed partially out of order, and some pages were most likely lost as well. 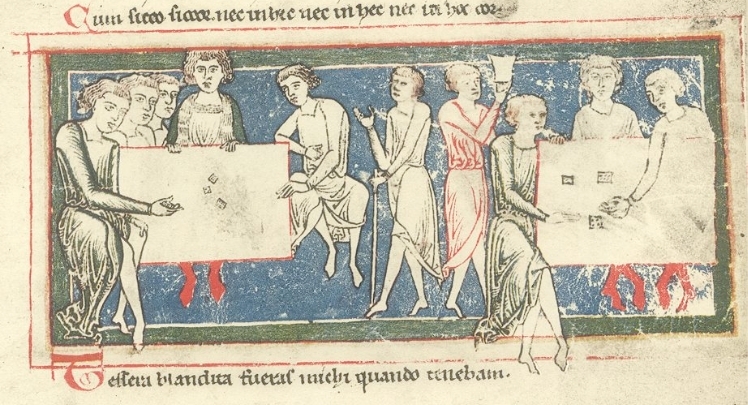 The manuscript contains eight miniatures: the rota fortunae (which actually is an illustration from songs CB 14–18, but was placed by the book binder as the cover), an imaginative forest, a pair of lovers, scenes from the story of Dido & Aeneaus, a scene of drinking beer, and three scenes of playing dice, tables, and chess. Older research assumed that the manuscript was written in Benediktbeuern where it was found. 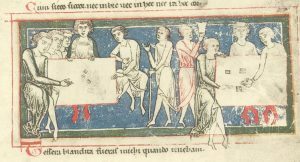 Today, however, Carmina Burana scholars have several different ideas about the manuscript’s place of origin. It is agreed that the manuscript must be from the region of central Europe where the Bavarian dialect of German is spoken due to the Middle High German phrases in the text—a region that includes parts of southern Germany, western Austria, and northern Italy. Several theories based on extant evidence exist as to the exact origins geographically, but it is less clear how the texts ended up in Beuern. The manuscript contains songs of morals & mockery, love songs, drinking & gaming songs, songs about the Crusades, several spiritual plays, reworkings of writings from antiquity, critiques of corruption in the Catholic Church, numerous satiric descriptions of a raucous medieval paradise, and many other themes. The manuscript was discovered in the monastery at Benediktbeuren in 1803 by librarian Johann Christoph von Aretin. He transferred it to the Bavarian State Library in Munich where it currently resides. About one-quarter of the poems in the Carmina Burana are accompanied in the manuscript by music using an archaic system of musical notation. Of the 254 texts, Carl Orff set 24 of them to music in a scenic cantata. In 1934, Orff encountered the 1847 edition by Johann Andreas Schmeller. Michel Hofman was a young law student and an enthusiast of Latin and Greek, who assisted Orff in the selection and organization of 24 of these poems into a libretto. divided into five section: Fortune, Empress of the World; In Spring; In the Meadow; In the Tavern; Court of Love. 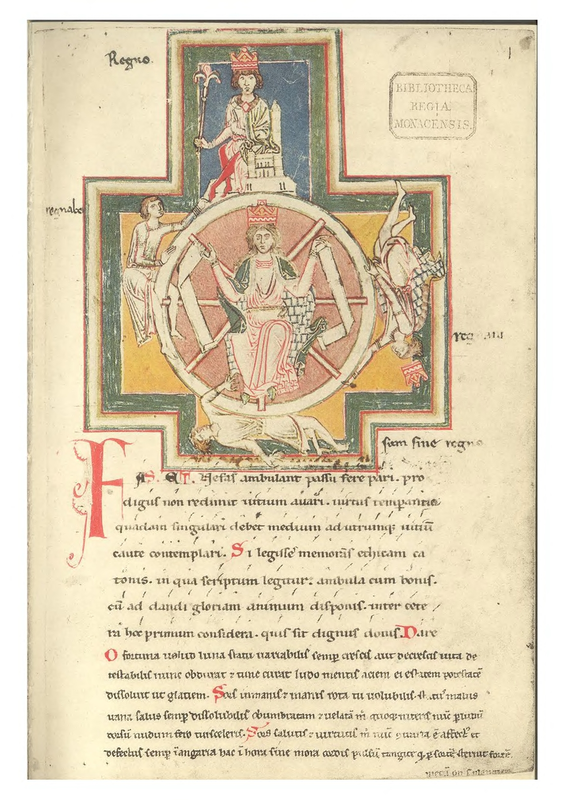 The selection covers a wide range of topics, as familiar in the 13th century as they are in the 21st century: the fickleness of fortune, the ephemeral nature of life, the joy of the return of Spring, and the pleasures and perils of drinking, gluttony, gambling, and lust. You may never have heard Carl Orff’s CARMINA BURANA in full, but we’re betting you have heard it’s opening , O Fortuna. Perhaps you weren’t even aware of its title or did not realize its origin. It has been used as a soundtrack in popular culture steadily – just to name a few of the more recent instances in which you may have heard it – on television 2016, in the second-season episode of “Scream Queens”; in movies, 2009, in the Disney live-action film “G-Force”; 2018, in TV advertisement, an Applebee’s commercial for riblets and chicken tenders; 2013–2016, in sports broadcasts, used in the Drivers’ Introduction at the Daytona 500. That’s quite a range of genres! But the exciting, driving rhythms and powerful aurals of O Fortuna certainly lends itself to attention-getting! The text of O Fortuna (which could also be translated as Oh, Fate) sets the tone for the entire cantata of Carmina Burana, bemoaning as it does the tricks and traps of Fortune/Fate, and of life under its influence, particularly as the sections of the work that follow explore the highs and lows of pursuit of the earthly delights! O Fortune, changeable as the moon, ever waxing and waning. Hateful life first oppresses then soothes as fancy takes it. Poverty and power, it melts them like ice. Fate - monstrous and empty, you whirling wheel, you are malevolent. Well-being is in vain and always fades to nothing, shadowed and veiled, you plague me too. Now through the game I bring my bare back to your villainy. Fate is against me in health and virtue, driven on and weighted down,always enslaved. Since Fate strikes down the strong man, everybody weep with me! When Solaris Vocal Ensemble, Bella Voce Women’s Chorus (both under the direction of Dr. Dawn Willis) and Counterpoint chorus (under Nathaniel G. Lew’s direction) perform together in concert on Sunday February 18, 2018 at Saint Michael’s College, they will be part of an exciting event, Echoes – the Choral Music of Richard Stoehr. 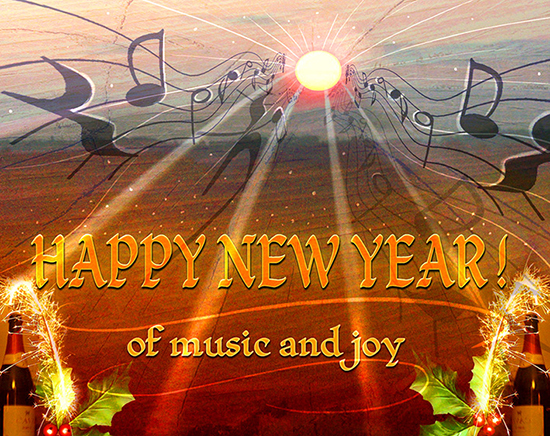 Solaris Ensemble have been priming its audience with works by Stoehr for a few past concerts now, having performed his magnificent “Crossing the Bar” in spring of 2017, and in December of 2017, “A Grace for Christmas.” In the February concert, “…Grace” will be sung as a charming finale by all three ensembles together. 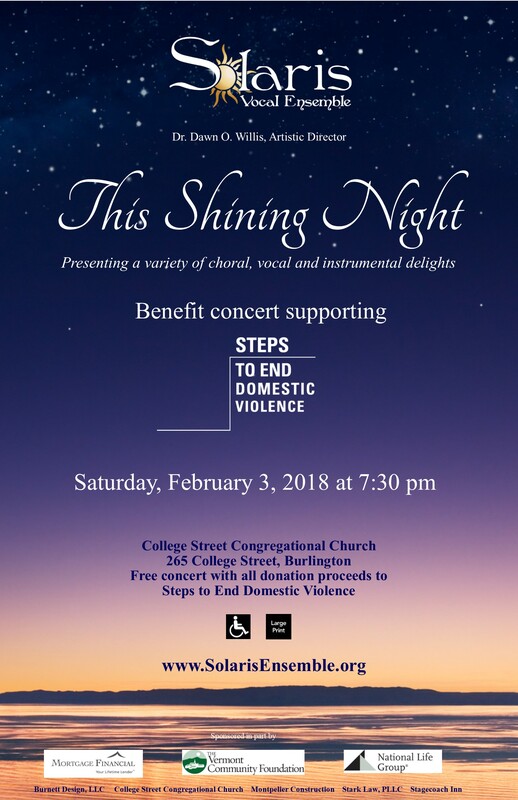 Last night, we gave our This Shining Night concert to an appreciative audience AND raised money for STEPS to End Domestic Violence! Great job, Solaris singers, and thanks to all audience members who helped to make this a successful benefit for STEPS! 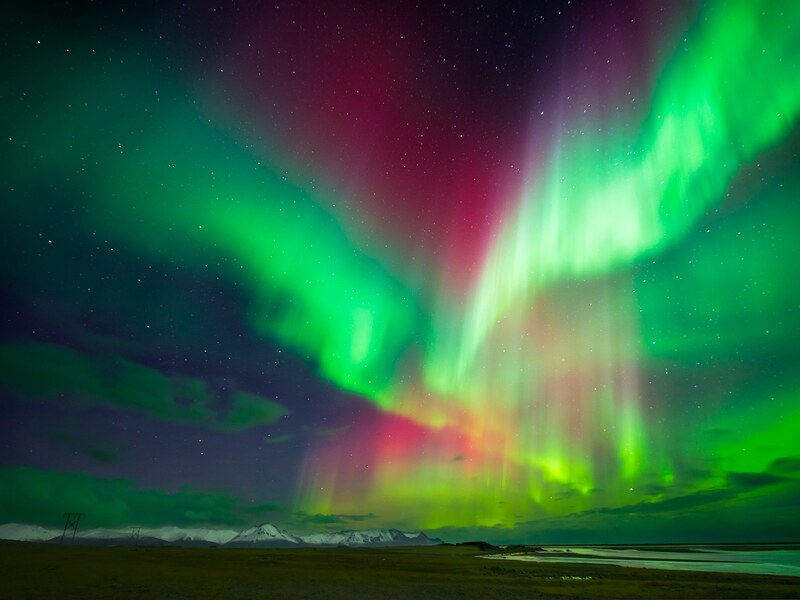 It May Be a Cold Night, But It Will Be Shining! Each year, Solaris proudly fulfills its mission to serve the community through music, by presenting a concert to benefit a local non-profit organization. 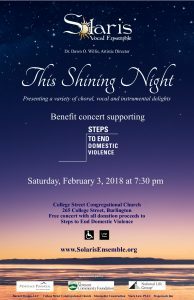 This Shining Night 2018 is for the benefit of STEPS To End Domestic Violence, for the second year in a row, to help provide a financial boost to this worthy organization. Free concert; attendees are encouraged to make a contribution to STEPS. The ensemble will perform together as well as in smaller groups and as soloists – a smorgasbord of talent! This free concert will feature vibrant choral works including Richard Stoehr’s expansive Crossing the Bar, Morten Lauridsen’s lovely Sure on this Shining Night, and a sneak preview of our spring 2018 presentation, Carmina Burana! Also featured will be a delightful array of vocal solos and small group selections showcasing the broad talents of Solaris’ members. Saturday, February 3, 2018 @ 7:30pm at College Street Congregational Church, Burlington, VT. Listen here! Solaris joins musical forces with Counterpoint and Bella Voce choruses to showcase the rarely heard choral music of Richard Stoehr, a highly respected Viennese composer, author, and teacher. 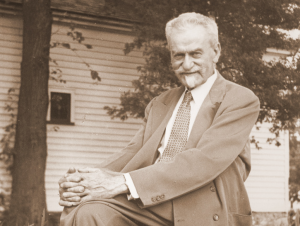 Forced by the Nazis to flee Austria in 1939, Stoehr continued his art at Saint Michael’s College (1941-1950), now the repository for his many works including seven symphonies, two operas, choral music, lieder, numerous chamber works and solo piano music, as well as half a dozen widely used textbooks. During his 50-year career as a teacher, his students included Herbert von Karajan, Erich Leinsdorf, Rudolf Serkin, Samuel Barber, Leonard Bernstein and Marlene Dietrich. Solaris, under its Artistic Director Dawn Willis, will perform Stoehr’s magnificent Crossing the Bar and The Great Adventurer. FREE admission. In honor of our Fifth Anniversary this season, we will sing two pieces from our very first holiday concert – that mentioned in the former post, “Carol from an Irish Cabin”, and “Northern Lights” by Norwegian-born composer Ola Gjelio. Pulchra me, amica mea/suavis et decora sicut Jerusalem/terribilis ut castrorum acies ordinata/ Averte oculos tuos a me/quia ipsi me avolare fecerunt. 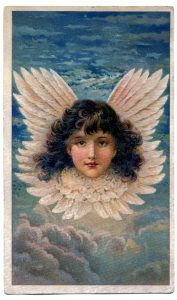 Thou art beautiful, O my love/ sweet and comely as Jerusalem/ terrible as an army set in array/ turn away thy eyes from me, for they have made me flee away.